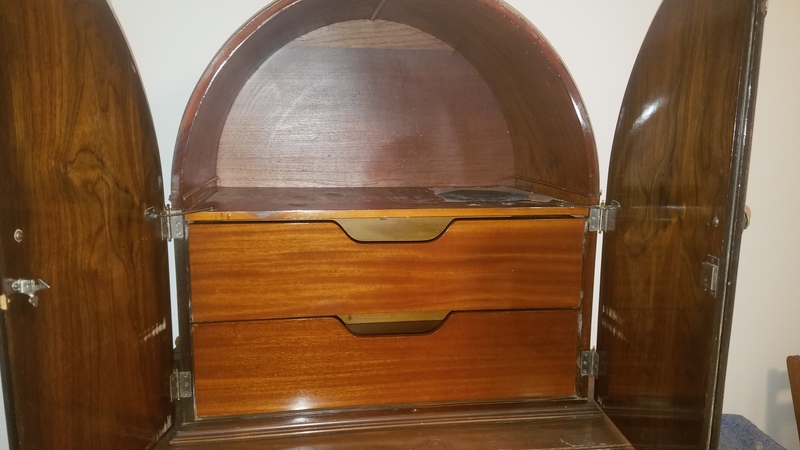 I am looking for any information I can find on this piece of furniture. 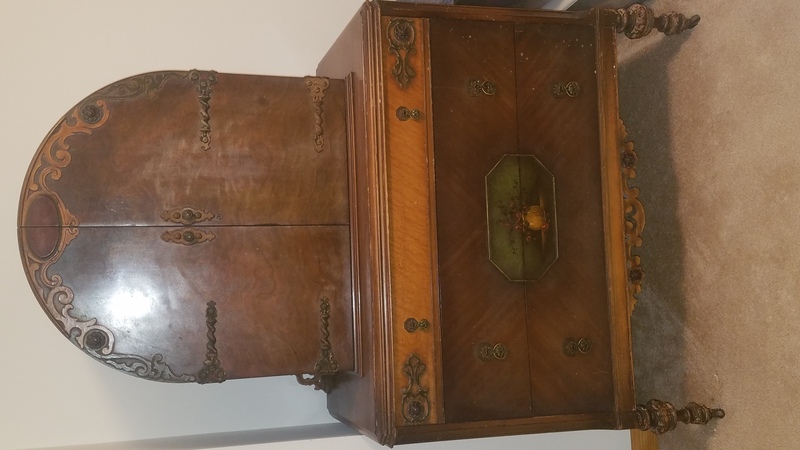 We think it was from first half of the 1900s. 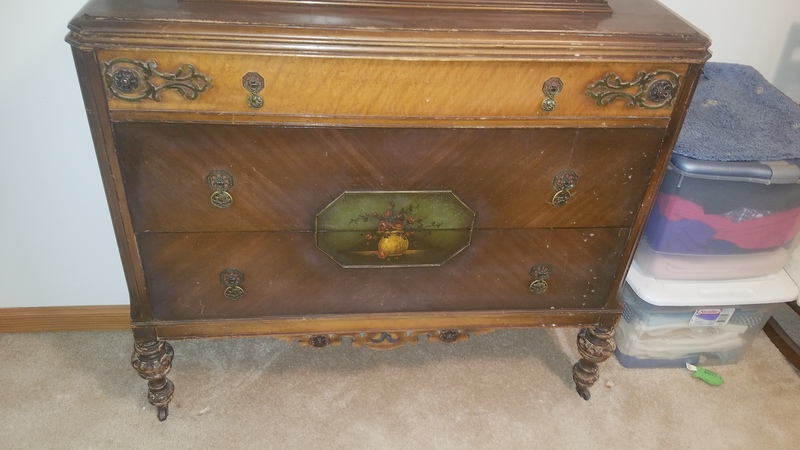 It was purchased in an estate sale in the 1960s. It is spanish walnut. 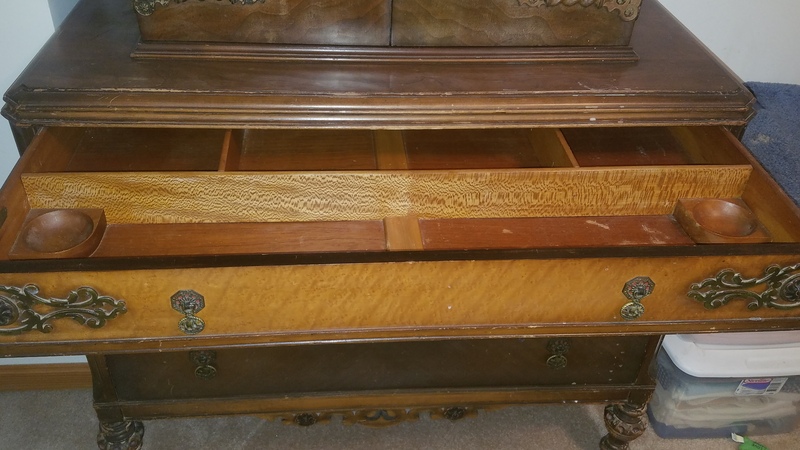 There is a vanity and dresser that goes with this piece as well. 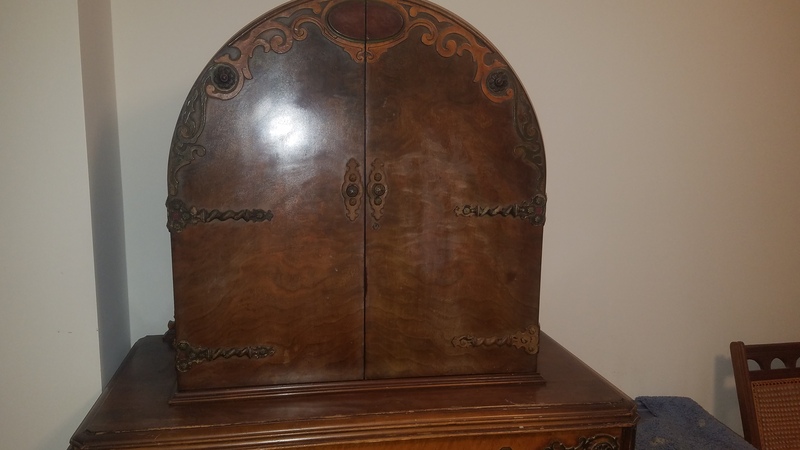 It's "Spanish Revival", most of it dates from about World War One through the 1920's. Values for it depend a great deal on local demand and the condition of the finish. Seems to sell better in california and Florida.